Oh well… The 37-year itch for a next Filipina Ms. Universe continues. It is now officially 38, as a matter of fact – and counting. Were it up to me – and assuming that I am capable of removing Filipino bias from my eyes – I would have chosen Angola and Philippines in any order. That Angola won it, I suppose, makes it less contentious as far as I am concerned. Who knows what the judges really see? The whole pageant – as are others – was an exercise in subjectivity. In the end, whoever was crowned Ms. Universe was down to whoever was invited to sit in an international panel of judges, each bringing his or her own set of standards and preferences. If the eventual choice did not go our way, well, the options are well and truly limited. We just shake our heads and console ourselves that there is the next year to look forward to. This country never really faces a shortage of gorgeous women. Our genetic mix is such a wonderful concoction of many bloodlines that the country is almost like a laboratory for a Darwinian experiment. There are gorgeous women everywhere! Now, go ahead and disagree. Everything depends, of course, on who among the beauties on the streets actually has the desire and the willingness to actually join the local qualifying pageant. Not that I am an expert and not that the choice of winners is ever formulaic; but I would imagine from a strictly layman’s perspective that the ideal choice has to be somebody with a potent mixture of beauty, body, brain and poise. It is a bit too much to say that we get this mix in our local pageant hopefuls each and every year; and indeed, we do get our own share of no-hopers. This, I suppose, is why we are all – and do not even bother to deny it – now having to deal with that dreadful feeling that we-wuz-robbed; because Ms. Philippines Shamcey Supsup – and never mind the exotic surname – seemed to everyone like she would be the one. God knows how male glands flowed when she walked in her skimpy Brazilian bikini – which the commentator felled impelled to say had to be returned to the suppliers because they were originally too… uhrm… well… skimpy. She did not walk; nay, she floated on that Sao Paolo stage like a Druid goddess. Then came the dreaded question-and-answer; and no, she did not do a major-major freeze. Her answer was intelligent as one would expect from an honour student; and just how many of us felt certain that the bacon was on the way home? I do not think, though, that we were the only ones disappointed. Ms. China’s face when she was announced as 4th runner-up was almost a scowl; nay, it was a scowl! 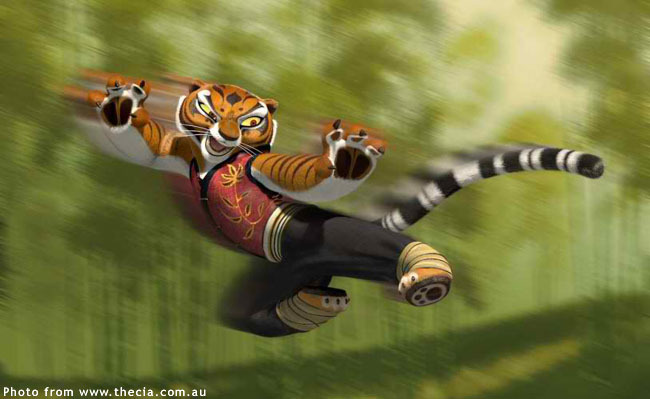 I almost feared that she would give somebody a kung fu chop onstage. Ms. Brazil getting to third was probably the thank-you-so-much-for-hosting-the-event vote. Ms. Ukraine? How did she get that far? I thought her face was so angular it was almost masculine. Was this not the Ms. Universe pageant? What surprised me the most was the interest that this particular pageant generated. Once upon a time, there were just the Ms. Universe, the Ms. International and the Ms. World. In those days, each pageant was a big to-do and was followed enthusiastically the world over. These days, though, pageants have become dime-a-dozen; and one cannot even be certain for which gender these are. One would have thought that we have all become blasé about them. A famous local director tweeted last night that he felt certain that all beauty parlours in Metro Manila would be officially closed this morning while the pageant was ongoing. In fact, interest went way beyond your colourful neighbourhood transvestite beauticians. Anyone who could watched the show. The Ms. Universe title is still the one everyone craves for; and that we had a contestant who was good value for money meant that this was a good year to watch. There you go. There are worse ways to lose a pageant than a major-major freeze. I did watch when Margie Moran won our second title in Athens. I was still a junior in high school. 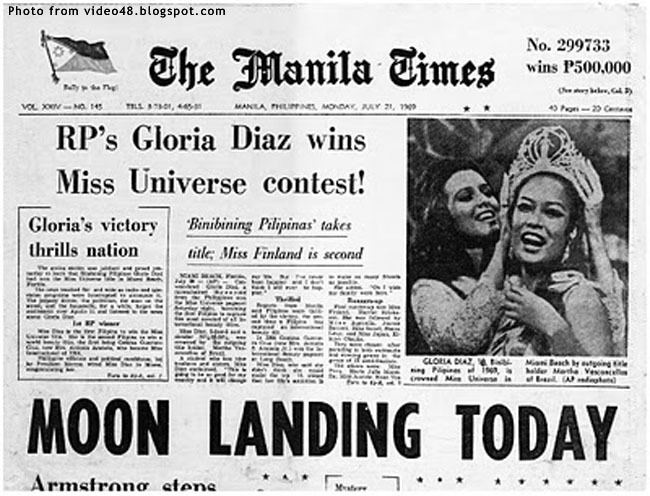 If there were misgivings about Gloria Diaz’s victory four years earlier, there was none about this one. Where Shamcey Supsup floated gracefully onstage, Margie Moran walked confidently and authoritatively. There was QUEEN written all over her. 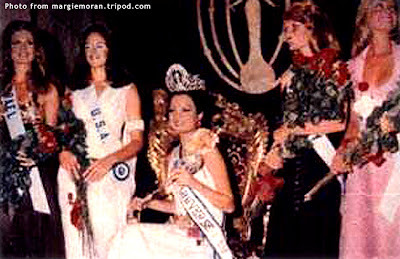 There was always going to be just one winner to this 1973 pageant. Perhaps, in retrospect, that was the sort of aura that Shamcey Supsup could have brought to Sao Paolo. One of the commentators kept repeating that she was humble and was quoted to have said that she did not think that she would make it even to the top 16. In a way, this was admirable. Yet, whoever won was still going to reign as a beauty queen. I stick to my premise that you cannot really tell what those in the panel of judges really want; but what are the odds that they were looking for a bit more swagger as opposed to self-deprecation and humility? 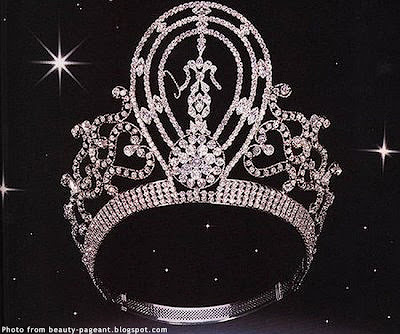 Perhaps, in the end, Shamcey only managed to convey a lack of belief that subsequently turned out to be self-fulfilling. In fairness, she would have made an excellent Ms. Universe. As for Ms. Angola, was it just me, but I thought she had the same imposing presence onstage that Margie Moran had in 1973. Although I disagreed with how three of the top five contestants placed, I thought their eventual choice of Ms. Universe was one that they got right.